NatureBox is the snacking delivery company that has over 100 snack options - from healthy to indulgent - to satisfy any craving. Deadspin readers will receive 2 free snacks when they choose a 5-snack box, or 5 free with a 10-snack box. Sign up with NatureBox and select between once a week, every two weeks, or monthly deliveries. Choose either 5 bags for $9.97 (normally $19.95), or 10 bags for $16.47 (normally $32.95), then enjoy the fun of picking your snacks. The variety ranges from Sriracha Roasted Cashews, Mini Belgian Waffles, Salt & Vinegar Veggie Chips and Big Island Pineapple, with less than 200 calories in each serving. 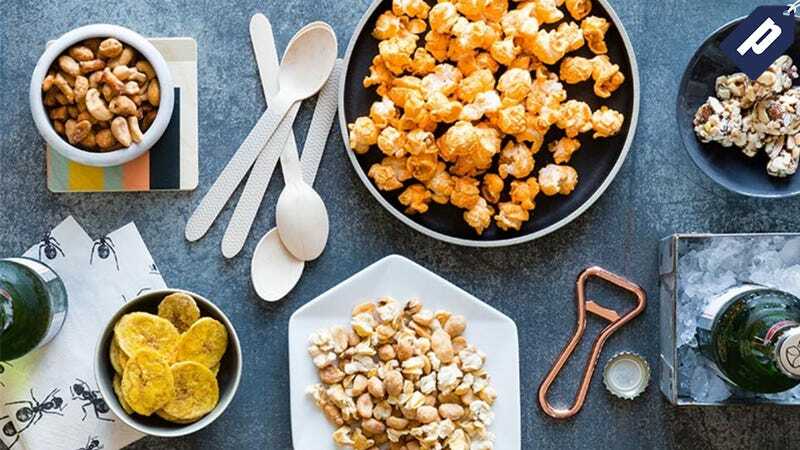 Discover unique flavors with ingredients you can trust, and say goodbye to artificial flavors, colors, sweeteners, trans fats, and high fructose corn syrup in your snacks. Plus with NatureBox’s sorting system, you’re able to keep in line with any flavor preference and dietary needs by personalizing your delivery. Receive 2 free snacks with your first 5-snack box, or 5 free in your first 10-snack box. Free shipping is available on all U.S. orders. Available for new US and Canada customers only.